If DataWedge is enabled, its functionality applies only for the active user - Each user has a separate DataWedge process running. DataWedge usage and functionality only applies for the active user. Any DataWedge profile change takes into effect globally across all users - A DataWedge configuration or profile change by a user (through DataWedge UI or profile import) applies to all users regardless of which user is logged in when the change is made. For example, if User A makes a change to a profile, User B sees the change in the same profile. The configuration file is stored in a location (by default /enterprise/device/settings/datawedge/config/datawedge.db) where the DataWedge process across all users utilize the same configuration file. Camera scanning functions only for the primary (admin) user - Camera scanning is not available for secondary (non-primary) users. 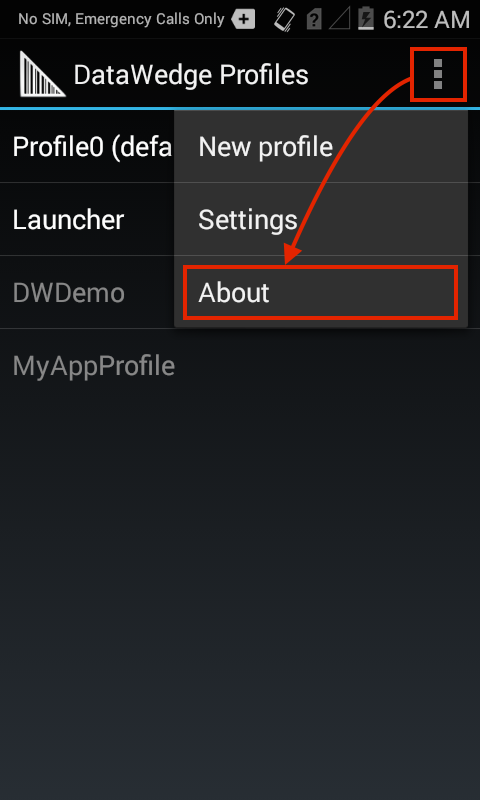 Bluetooth scanner disconnects when switching between primary user and other users - This applies to profiles which have a Bluetooth scanner enabled. If the primary user is active, when switching to a different user with an active profile that also enables a Bluetooth scanner, the Bluetooth scanner disconnects and does not automatically re-connect to the device. 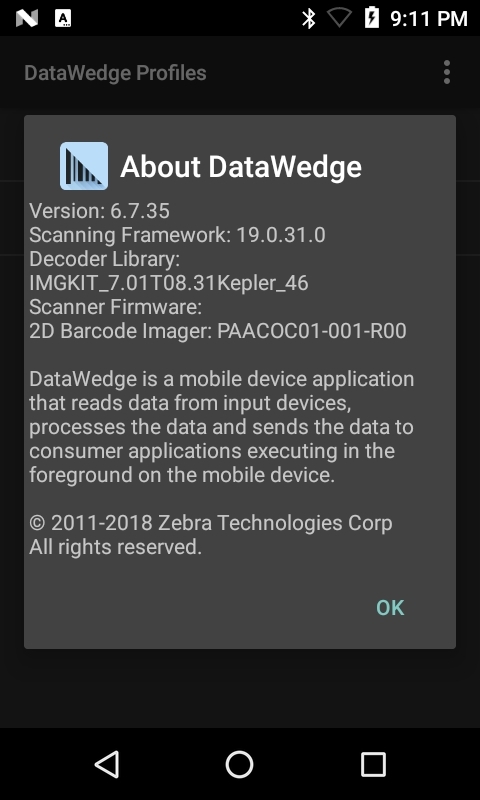 The non-primary user needs to press the reset button on the Zebra Bluetooth scanner to reconnect, even if it shows that the Bluetooth scanner is connected to the device. No external SD card access - If multiple Android user accounts exist, users cannot access the external SD card. This prevents the ability to export or import the Datawedge configuration database files from the SD card. Limited folder access - Each user profile has its own folder structure that is not accessible from a different user. Therefore, a user cannot access the exported DataWedge configuration database of another user, preventing the ability to import/export configurations across users. New Decode Screen Notification parameters added for deocde screen time and translucency level. Added new DotCode decoder support. New Decode Screen Notification support added for decode feedback in Scan Params. Voice Input for voice-to-data capture officially released (non-beta). New End Detection Timeout option for Voice Input. New Multi-User Support for multiple Android user profiles. New SEND_RESULT result code for multiple plugins. New Hardware Trigger feature to toggle the hardware trigger for barcode input and Simulscan input. 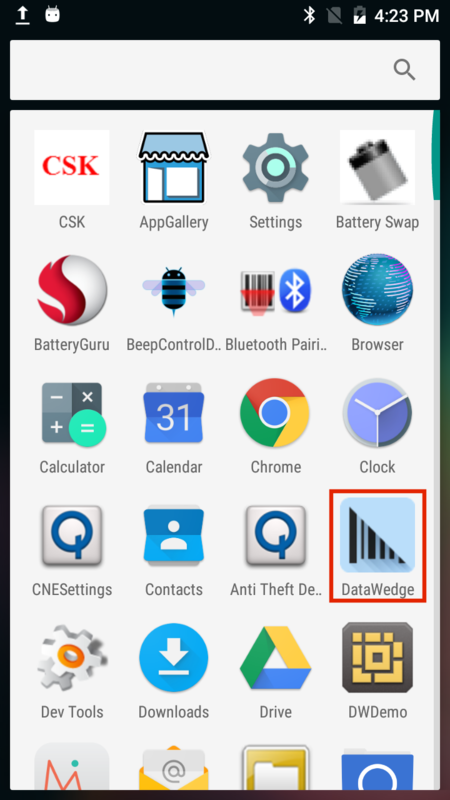 New updates are identical to DataWedge 6.9.